With the World Cup on the mind of millions around the world, there’s no better time to explore just how data impacts soccer. 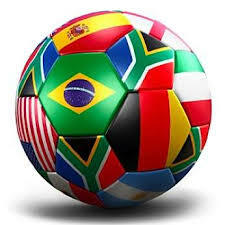 Soccer is a fast moving game and each goal scored is just one part of over 2,000 events that occur in each game. These teams are comprised of the best athletes in the sport, but teams will not benefit just from the training. They will also get a distinct edge from technology that analyzes each of those 2,000 events, providing priceless data to the teams and coaches. Clubs are now using data analytics to improve their individual and team performances. That data will give those teams a scientific edge in the competition. Teams are using goal-line and ball tracking technology, along with video analytics that uses keywords to detect audio and video recordings. Combining those technologies with other sensors, teams are able to closely evaluate and analyze individual player and specific play action, producing a highlights reel for the game. This data quickly allows teams to adjust strategy, player and team performance through crunching the information and adapt their play. Enhancing that technology further, 3D cameras provide precise location data from both ball and player information to further enhance the overall data picture. At least one team is using sensors in clothing and shin guards, along with heart rate and respiration sensors. Coaches now clearly have a real-time advantage in these intense competitions. Business has clearly understood the advantages of data analytics and now, the world’s most popular sport is embracing the advantages of the same data technologies. Of course, all of the qualities and skill involved in professional athletics could never be replaced by the technology, but it can clearly gain a distinctive edge in the decision making process during the match. It will surely make for great competition in this great sport — and isn’t that really what the fans ask for most? Go to Data Ladder and find out how Data Ladder can help you score the winning goal with your data analytics!